Abstract. 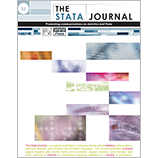 In this article, we describe Stata utilities that facilitate probabilistic record linkage—the technique typically used for merging two datasets with no common record identifier. While the preprocessing tools are developed specifically for linking two company databases, the other tools can be used for many different types of linkage. Specifically, the stnd_compname and stnd_address commands parse and standardize company names and addresses to improve the match quality when linking. The reclink2 command is a generalized version of Blasnik's reclink (2010, Statistical Software Components S456876, Department of Economics, Boston College) that allows for many-to-one matching. Finally, clrevmatch is an interactive tool that allows the user to review matched results in an efficient and seamless manner. Rather than exporting results to another file format (for example, Excel), inputting clerical reviews, and importing back into Stata, one can use the clrevmatch tool to conduct all of these steps within Stata. This helps improve the speed and flexibility of matching, which often involves multiple runs.